Beirut (AFP) - Syrian regime bombardment and air strikes killed at least 21 civilians, eight of them children, in the south and northeast of the country Friday, a monitoring group said. The Syrian Observatory for Human Rights, a Britain-based monitoring group, said 19 people, including five children, were killed by air strikes and surface-to-surface missiles on the Hara area in southern Daraa province. 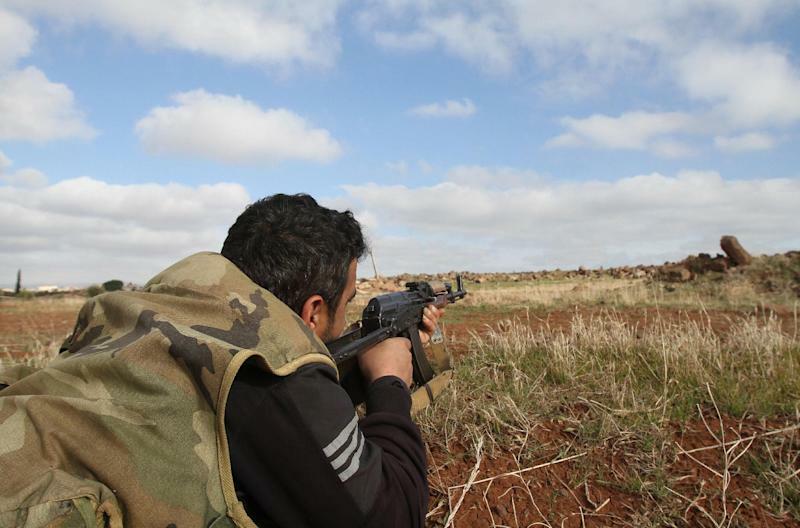 Hara is less than two kilometres (one mile) from a strategic hill in Daraa province that Al-Nusra Front jihadist rebels seized on October 5 in a battle that cost the lives of 30 regime forces and 29 insurgents. Meanwhile, in northeastern Idlib province, the Observatory said three children were killed and another five injured in air strikes on Tel Minis in the south. More than 180,000 people have been killed in Syria since an uprising against President Bashar al-Assad's regime began in 2011, escalating into a multi-sided civil war that has drawn thousands of jihadists from overseas.